CENTRAL CITY - Margie Nell Warman Reed, 82, of Central City, passed away Wednesday, October 5, 2011 at Crittenden County Convalescent Rehab Center. Mrs. Reed was born April 16, 1929. She was a homemaker. She was preceded in death by her husband, John Reed; two children; parents Joshua and Lola Belle Warman of Stringtown, KY; two sisters; two brothers; four brother-in-laws; and a sister-in-law. Survivors include her children, Rhonda (Tim) Bocken of Hammond, IN and Donna (Dwight) Wynn of Marion, KY; grandsons Robert and Brian Fulkerson of Hammond, Christopher (Denette) Wynn of Marietta, GA, and James Wynn of Marion; great-granddaughters Sydney Wynn and Megan Fulkerson; four sister-in-laws; two brother-in-laws; numerous nieces and nephews as well as great-nieces and nephews; and special friend Gertrude Veach. 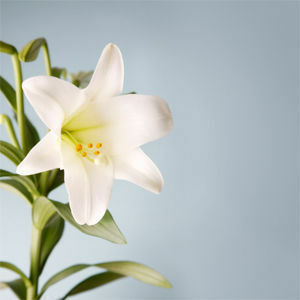 Funeral services will be Saturday, October 8, 2011 at 11:00AM at Tucker Funeral Home in Central City, with Rev. Tim Burdon officiating. Burial in Rose Hill Cemetery. Visitation will be Friday from 10:30AM - 7:00PM at the funeral home. Online condolences may be made at www.tuckerfuneralhomes.com. Thinking of you and praying that the Lord will comfort you in this difficult time.